Most of us know Alexandria Ocasio-Cortez, an American politician and member of Democratic Party. 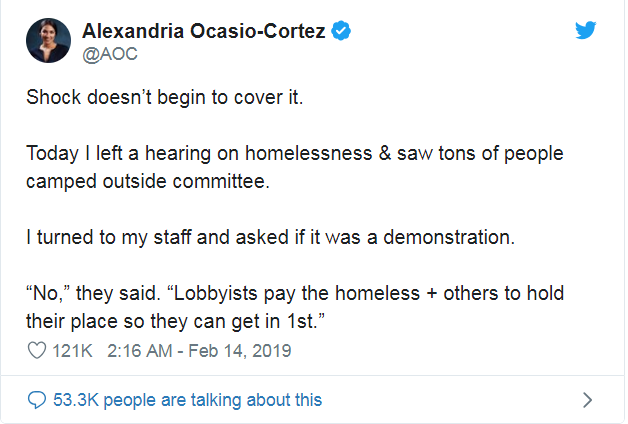 Since January 3, 2019, she has been the U.S. Representative for New York’s 14th congressional district. She drew national recognition after winning the Democratic Party’s primary election for New York’s 14th congressional district on June 26, 2018. Not only that, she is only 29 years old and already achieved so many things in her career. She didn’t only get national recognition for her career, but also for her social media skill. When she talks on social media, she influences her followers in such a way that almost all of us admire her. However, it turns out; she has a grand sense of influential and emotional intelligence on social media. Her online activity includes strong lessons that anyone especially business owners can learn from. How? Keep reading to find out! I can say her communication skill is beyond my imagination – she is the Queen of digital emotional intelligence. According to Guardian, Ocasio-Cortez has gained a 600 percent increase in Twitter followers since June of last year. Her digital emotional intelligence has brought her to social media success with her ability to evoke emotions from her followers. She knows how to control herself and express her emotion as well as handle interpersonal relationships judiciously and empathetically. One of the key points of online success is authenticity. You can’t connect with your customers if you are not truly sharing what’s inside your heart genuinely. That being said, that doesn’t mean you can randomly express your feelings on social media. 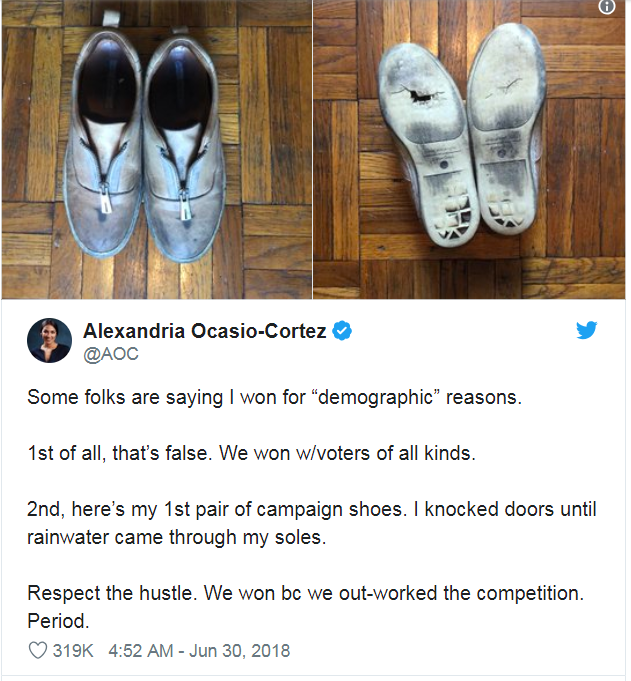 Ocasio-Cortez genuinely shows what she feels online without faking it. One of the examples of how she expresses herself on social media can be seen below. With just four sentences, she influenced at least 121,000 people and 53,300 people were talking about it. She doesn’t need long-written words and she knows how to carefully choose her words while expressing herself. Amygdala hijack can happen to anyone, but mostly to those influential people. Working in the politics is not easy. There will be many people opposing to your decisions and your works. You might even make enemies even though you don’t want to. The same goes with your business life. There is no business without a rival in this world. There might be some people trying to make you look bad in front of other people. However, Ocasio-Cortez doesn’t have much time to frustratingly deal with that kind of thing. When she got amygdala-hijacked (a.k.a attacked online over a video of her dancing as a college student that led her to being criticised for being ‘immature’), her response proved her superior digital emotional intelligence and her ability to deal with almost anything on social media. Instead of attacking back, she used the 180-degree Rule and embraced the criticism by posting a video of herself dancing in her office. Working in the political work requires audacity and a great deal of patience, but Ocasio-Cortez doesn’t let her mudslingers control her narrative. She shapes the conversation with her own narrative. Simply put, she has her own style of her narration. Perhaps, the similar thing can be interpreted for business. Tesla focuses on environmental impact, while Porsche focuses on performance. Just like that, Ocasio-Cortez focuses on how she makes her own narrative. I think I don’t need to say anything more. You can see that from the picture above. Taking your time to think before posting something on social media is the key point of social media management. We all have that “Wait, what?” moment on social media, but the smart and savvy social media user pauses before reacting. I know managing social media for business is totally different than managing social media for personal use even if you are a public figure in the political or even entertainment world, especially when social media for business is open for customers or people who may or may not like your business. However, the way you address your matters and how you handle and react can determine your business success. Learn from the way Alexandria Ocasio-Cortez handles her social media account and learn to improve for your success.